The length of this post in no way reflects the amount of research put into the topic. 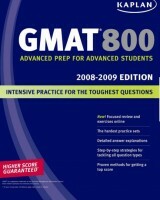 For the past week I’ve made it my quest to seek out the best GMAT prep book that exists. As you know, if you want to attend any business school, you will need to take the GMAT (SFU’s Graduate Business Diploma course is one exception). Your GMAT score is an important factor in determining how likely you are to be admitted into the graduate business program of your choice. 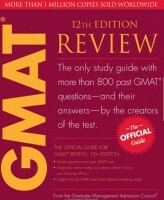 There are many GMAT prep books and study guides currently available to help you prepare for the test. Make sure you check out the other posts in our “Tips for Applying” section for other GMAT tips and lots of ideas to help you with your application to SFU’s Graduate Business programs, or any other MBA program out there including application tuning, essay writing, references, and interviewing. We here at A Few Good Minds think that our advice is pretty universal. When it comes to preparing for the GMAT’s questions, and answering real examples of questions you might answer on test day, the Official Guide (OG) is the only way to go. The OG is published annually by the Graduate Management Admissions Council (GMAC), the makers of the GMAT exam. In the opinion of all the SFU Grad Business students I polled, each of which have taken the GMAT (a few of them more than once), the OG is the most important book to have as your study companion. (The average GMAT score between the eight polled students was 727.5, with one 790) We suggest you read the OG cover to cover and do every single question within it (about 25 hours all together). 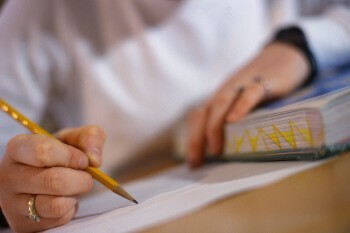 The questions are ordered by level of difficulty within each section, the most difficult questions being near the end. Along with being the only book that can use real GMAT questions, the OG vividly describes (almost as well as Dave of AFGM) what will happen on test day, and introduces the format of the computer adaptive exam. The one key downside to the OG is that it doesn’t provide any conceptual knowledge or techniques around answering the questions. It provides an answer and a very brief explanation. For a more comprehensive guide, and lessons on how to approach GMAT questions one or a combination of the next books are the way to go. Of my eight respondents, five of them had some experience with the Princeton Review prep books. The reviews were all very positive, with an emphasis on the unique teaching strategy found within the book. These guys share the title with Kaplan for the undisputed champions of test prep, and depending on your learning style this could be the comprehensive book for you. We recommend that you go to a bookstore and flip through it a bit a get a feel for the teaching style before you buy it. The book contains detailed lessons and tricks to solve advanced problems as well as four full length sample tests, questions, and information on how to gain entry into the best business schools – Like SFU’s Segal School of Business. 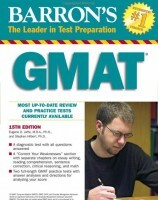 Apparently this book should come with a disclaimer, it’s an advanced guide for students who dream of 700+ GMAT scores. 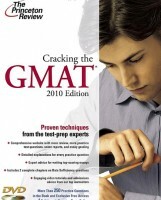 Most notably however, the book goes into specific detail around how to solve the most difficult GMAT questions. Kaplan is notorious for their 3-step, 4-step, and 5-step (for the more complicated questions) methods of solving GMAT questions. With hundreds of the most difficult practice questions (with highly detailed answers) the book focuses on math tactics, critical reasoning, and data sufficiency problems. Along with the book, you also gain access to Kaplan’s website which has some of the best practice tests I’ve seen. Remember though, it’s impossible for any outside company to perfectly calibrate the score to GMAC standards. It’s important that you don’t get too caught up in your score on these exams as much as you simply use them as a way to get accustomed to answering GMAT questions on the computer . Overall Practice: Princeton Review’s 1,012 Practice Questions book – Second best to the OG for practice, practice, practice. Even if you were to buy each and every one of the books listed in this post your total cost will be below $500. Remember though, you don’t necessarily have to buy every one of them. It might be more advantageous for you to focus on one specific section. (Want to know the most important GMAT section to focus on?) If you are focused and dedicated to achieving a high score on the GMAT, you might want to consider self-study over an expensive prep course. These books are by far and away best in class and you may surprise yourself with how focused you can be on self-study for this important test. Next story What to Expect?